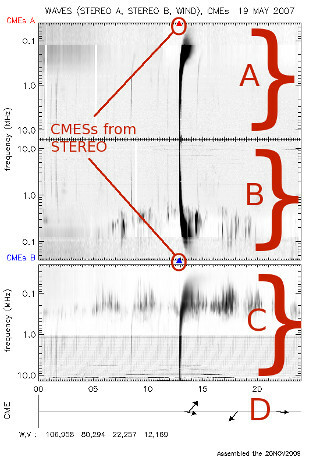 The STEREO/SWAVES and WIND/WAVES 24h SURVEY covers the 00-24 UT time range (1pixel/180sec) and zooms are 3 hours long (1pixel/22.5sec). It is available from the STEREO launch on october 2006. The spectra from SWAVES A and SWAVES B are placed head to tail.